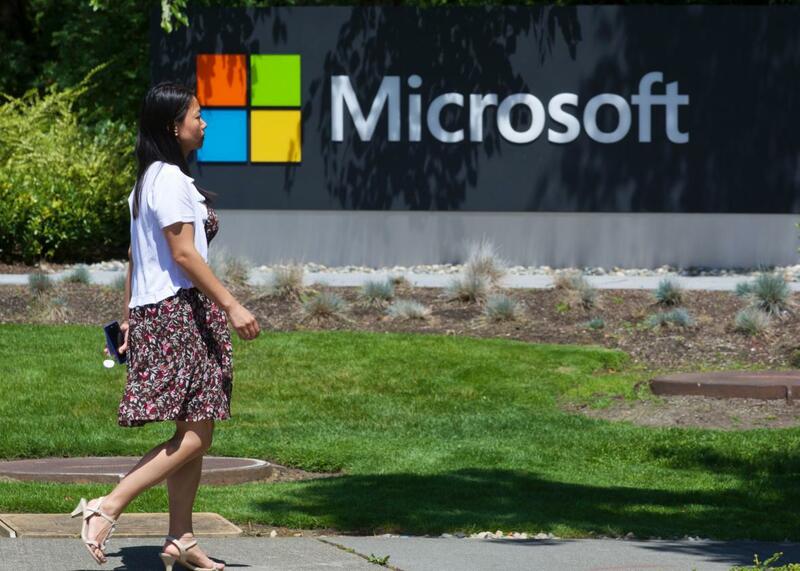 Two new reports say Microsoft overwhelmingly underpays women and stifles their careers. A pedestrian walks in front of a sign at Microsoft Headquarters in Redmond, Washington. Microsoft has been embroiled in a gender pay gap lawsuit for the past two years, fighting allegations that female technical employees at the company are systematically paid less than men and receive fewer opportunities for professional advancement than equally qualified male counterparts. The plaintiffs filed to make the lawsuit a class action at the end of October and recently released two reports that detail pervasive gender-based discrimination at the $649 billion tech company. One, by Henry Farber, an economics professor at Princeton, analyzed data on more than 16,000 employees’ compensation, age, tenure, geographic location, performance ratings, and other factors between 2010 and 2016. Faber found that women in technical roles in low- to mid-level positions at Microsoft “receive lower compensation on average, than otherwise-similar men, and this difference in pay is statically significant.” Moreover, the report finds that women in mid-level jobs at Microsoft have a statistically significant lower probability of getting promoted. The other study filed in the case, conducted by Ann Marie Ryan, a psychology professor at Michigan State University, found that Microsoft “does not provide clear, job-related guidance as to how to distinguish levels within a career stage for compensation decisions,” which opens doors for managers to make subjective, and potentially sexist, decisions about career advancement. The discrimination lawsuit against Microsoft was originally filed in 2015 by Katie Moussouris, a noted computer security researcher who worked for Microsoft for seven years and who is known for her work launching Microsoft’s first bug bounty program in 2013. The discrimination lawsuit against Microsoft was filed months after Ellen Pao lost her lawsuit against her former employer, the storied venture capital firm Kleiner Perkins Caufield and Byers, alleging Pao was passed over for a senior-level promotion due to her gender. Microsoft isn’t the only large tech company struggling with a serious gender discrimination lawsuit. Three former female employees at Google filed a lawsuit in September claiming the company “engaged in systemic and pervasive pay and promotion discrimination.” On Wednesday, a judge denied them class action status on behalf of women who worked at Google for the past four years, but the plaintiffs plan to press again and file a new, amended complaint. The lawsuit points to an investigation by the U.S. Department of Labor, which in April accused Google of systematically underpaying female employees across its entire workforce. The Labor Department also sued Oracle in January for paying white men more than others with the same job title. And in February, Tesla was sued by a female engineer, AJ Vandermeyden, who accused the company of fostering a culture of “pervasive harassment,” paying men more for the same work, and retaliating against her for speaking out. Vandermeyden described how female employees were sexually harassed and even catcalled on the factory floor. The stretch of the West Coast between Cupertino, California, and Seattle is home to five of the most valuable companies in the world—companies that, despite their billions in cash and cadre of brilliant engineers and executives, can’t seem to figure out how to hire or treat women respectfully or equally. In 2016, Microsoft reported women make up 17.5 percent of its technical staff, but this year that number has only creeped up 1.5 points to 19 percent. * Google counted that women make up 18 percent of its tech employees in 2015, and now, two years later that dial has only moved up two percentage points. Likewise, Apple’s technical staff was 20 percent female in 2014 and in 2017 that number has notched to 23 percent. *Correction, Dec. 18, 2017: This article originally misstated that women made up 26 percent of Microsoft’s technical staff in 2016. Women made up 17.5 percent of the company’s technical staff that year.